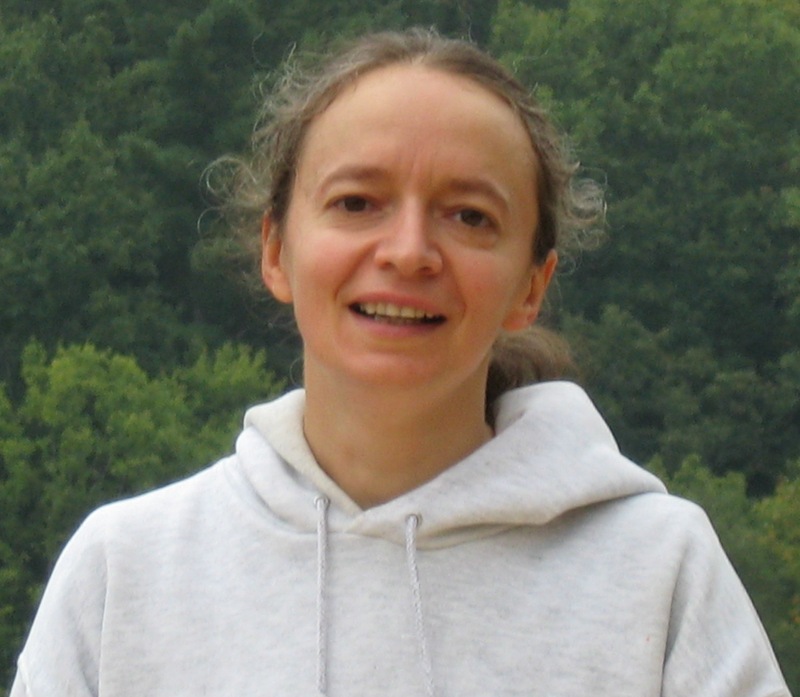 As some of you know, I’m doing a lot of literary translation, from English into French, my native language, working especially right now on a series by Tanya Anne Crosby. 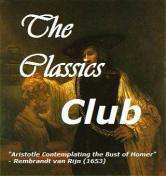 Here is the last book I translated, just released 5 days ago: a short prequel. It’s full of suspense, and after that you will absolutely want to read the books in that series. Pour Florence W. Aldridge, c’est le temps qui lui reste à vivre. Tous les événements d’une vie sont connectés. Notre vie, à tout moment, est la somme de tous nos actes et de tous les lieux où nous nous sommes rendus. Nos décisions déterminent non seulement où notre vie prendra fin, mais aussi la personne que nous devenons en route. 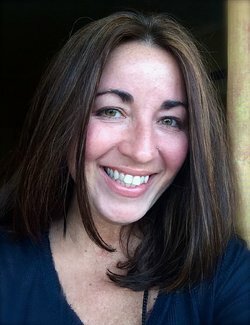 Jusqu’où une femme en perdition est-elle prête à aller pour se racheter avant que le temps ne s’arrête pour elle ? That’s how long Florence W. Aldridge has to live. Every event in a person’s life is connected. The state of our lives, at any given time, is the sum of everything we have done and everywhere we have been. Our next decision determines, not merely where our lives end, but who we become along the way. How far can one lost woman go to redeem herself by the time the clock stops ticking? Note: This is not a short story. It is a vignette, a snippet of time, meant to be used as a companion to SPEAK NO EVIL and TELL NO LIES. This book does not contain spoilers, so it can be read in advance of the books, but it does not stand alone. Once you read this amazing vignette teaser, you will absolutely want to know more about Florence and her daughters, with the consequences of these last hours in her life, and you will want to know who and why someone wanted to… I won’t say more. Au nord de Folly-sur-Mer, la version française de Speak No Evil, premier livre de la série, sera publié le 5 juin (294 pages). Donc si vous m’envoyez preuve de votre pré-commande du livre en français avant le 5 juin, vous serez entré dans un tirage au sort pour gagner une carte digitale de $15 de votre choix (amazon, itunes, kobo, etc). C’est facile, il vous suffit de faire suivre le courriel contenant la confirmation de votre pré-commande à l’addresse ehc16e at yahoo point com, et voilà. ATTENTION: précisez “Crosby” dans la ligne Objet. 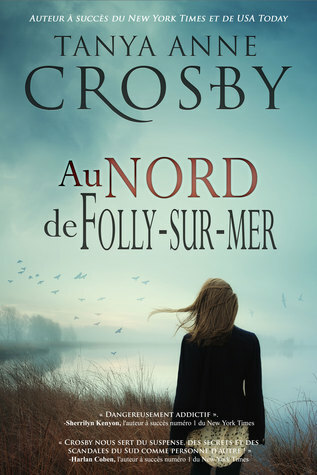 Au nord de Folly-sur-Mer, the French version of Speak No Evil, the first book in the series, will be released on June 5 (294 pages). So send me the proof you pre-ordered a copy of the French edition before June 5, and you will be entered to win a $15 digital gift card (amazon, itunes, kobo, etc). To do that, simply forward to ehc16e at yahoo dot com the email containing the confirmation of your pre-order or send me a screenshot of that order, et voilà! You don’t know French at all? Maybe you have a friend who does. Wouldn’t it be an original gift to send them? THE WINNER WILL BE ANNOUNCED ON JUNE 5! The 3rd deal is I’m really thrilled to present you an interview of the author (Tanya) by the translator (me)! 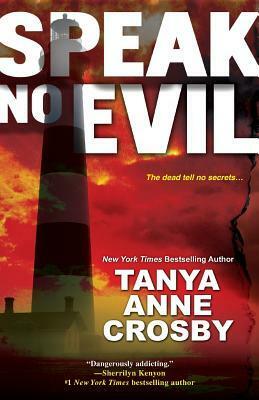 Tanya, it was a pleasure translating Speak No Evil into French. so that my readers know a bit more about you. Thank you taking time to answer these questions. I can see you have already published a fair amount of novels. I knew it from the time I was a little girl. thinking it would be ice cream. I asked to use his typewriter! You have published in different genres. Isn’t it difficult to switch between genres? The main thing for me is that I have to have a passion for the subject I’m writing about. It’s not difficult for me at all to switch, as long as I’m in love with the story I’m telling. What inspired you to write Speak No Evil / Au nord de Folly-sur-Mer? Why did you choose the South as the setting of this novel? I was born in Spain, but grew up in Charleston, SC. It’s a beautiful city that still holds my heart. But beyond my ties to the location, it’s a city full of history and mystery. It can be everything from spooky to elegant and the Southern culture is rich there. It’s funny because there is probably a little bit of me in most of my characters—although, I promise you I’m not a serial killer! For some of my characters, I do quite a lot of research. But I’m most drawn to the aspects of our humanity that make us good vs. bad. Is there a general message you want to convey through this mystery? Yes, there is! At the core of these stories is this: Every event in a person’s life is connected. The state of our lives, at any given time, is the sum of everything we have done and everywhere we have been. Our next decision determines, not merely where our lives end, but who we become along the way. I wanted to explore how one family could produce such different individuals and how one moment—in this case, a moment of inattention on the beach—can change the course of lives. What was the most challenging for you in writing it? It was my first contemporary mystery, so it was a challenge just to see if I could dip my toes in another beloved genre. Who is your favorite mystery writer? Why? I have so many favorite mystery writers—Mary Shelley, Joyce Maynard, Daphne du Maurier to name a few—but as far as directors it’s Alfred Hitchcock! It is always so very flattering to me when reviewers have compared my stories to his. The book I’m writing at the moment has shades of a mystery, but it doesn’t have a specific genre, really. It’s tentatively called Closure and due to be released by The Story Plant Publisher next spring. While I can only write one book at a time, I tend to read several at once. I am reading Game of Thrones by George R.R. Martin, Three Sisters by Susan Mallery, The Secret Lives of People in Love by Simon Van Booy and The Girl Who Came Home by Hazel Gaynor. Thank you for everything you’ve done Emma, and for making my books your own. You’re so much appreciated. Thanks Tanya, and I’m thrilled to be working now on the translation of the 2nd book in your series: Tell No Lies! Please go visit Tanya’s most original website. I also suggest you see all the books she has written so far, her amazon page is quite impressive! 1 US resident will win these 2 books! WHAT DID YOU LIKE IN TANYA’S INTERVIEW? This entry was posted in Armchair BEA, foreign, Giveaway, Interview, Mysteries and tagged Charleston, David Rhodes, French translation, Lisa Jewell, Tanya Anne Crosby by WordsAndPeace. Bookmark the permalink. Thank you so much for your great giveaway! I love how the author asked to use her dad’s typewriter as a treat rather than receiving ice cream when she had her tonsils out! I know, that’s my favorite part too, lol! For once, this is about a book translated into French, and by me! See the deal, plus a free book!